For one of this blog’s recurring ‘columns,’ I’m pleased to have as our guest today Phathokuhle Zondi, a sports medicine physician, the CEO of the Sports Science Institute of South Africa, and the current president of the South African Sports Medicine Association (SASMA). I have known Phatho for two years now, and consider her a close friend as well as an esteemed colleague in the world of sports medicine. I met her when, two years ago, I was able to attend the biennial convocation of SASMA, held in Johannesburg in 2015. She was at the time the president-elect of SASMA. Fast forward two years, and she is completing her term, with a body of work that is culminating with the 2017 convocation. I wanted to catch up with her on the eve of this conference to get ‘up to speed’ on the sports medicine (and sports) scene in South Africa. In the midst of her busy life, Phatho graciously obliged. 1. CJSM: The South African Sports Medicine Association (SASMA) is having its biennial convocation this October in Cape Town. I was privileged to attend the 2015 meeting in Johannesburg. What are some of the highlights of the upcoming 2017 meeting? Pre- Congress Workshops – physiotherapy, Exercise is Medicine and Fieldside Emergency Care. 2. CJSM: You have been the President of SASMA for the past two years, and your term is coming to an end in October. What have been some of the more memorable experiences you’ve enjoyed during your service? What do you see as some of the challenges SASMA faces in the next two+ years? PZ: Getting to know and better understand the wider SEM community in South Africa has been particularly valuable in my journey – having deeper interactions at a Governance level with allied health professionals has improved my appreciation of the multidisciplinary team. A definite highlight has also been the various engagements I have had with students and rising stars in our field. In the next few years, SASMA will need to formalize some of the structures within the organization in order to ensue that we continue support and meaningfully serve a growing membership. 3. CJSM: Recently you moved from Pretoria to Cape Town to become the CEO of the Sports Science Institute of South Africa (SSISA). This was quite a career change for you. What’s a typical day in the life of a CEO? PZ: What a journey it has been already – exciting, challenging and thoroughly rewarding. I’m not sure there is a typical day, specifically because it’s a new journey we are on as we formalize our partnership with the University of Cape Town and build a strategy that better leverages the strength of the relationship. The only thing “typical” and replicable about SSISA is the people – typically warm and driven and connected. We are carving a new path in this next phase of the SSISA journey and as we do so, the people of SSISA will continue to be our greatest asset. 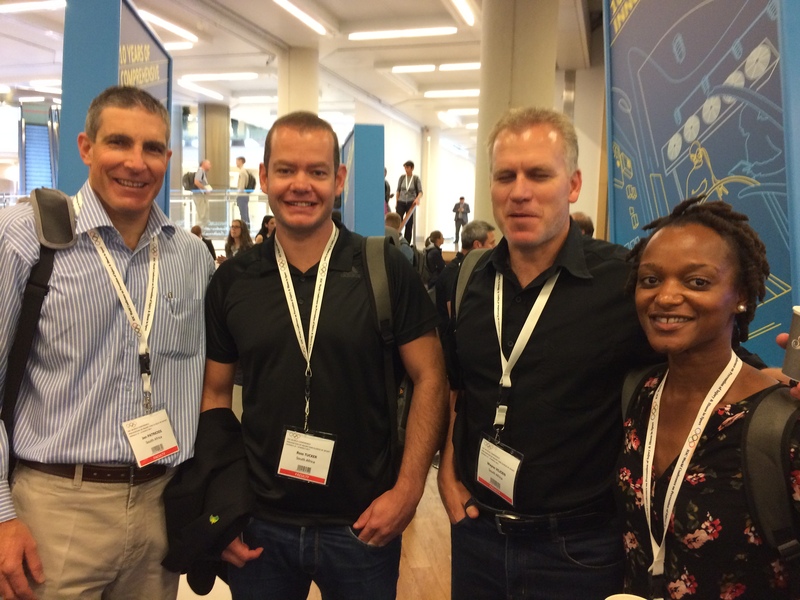 PZ: Admittedly, I’m not the most diligent of Twitter users…but when I do dabble– @ProfTimNoakes (for everything LCHF related), @scienceofsport [aka Ross Tucker (if you enjoy controversy from time to time)], and @Sharief_H. @gsport4girls celebrates South African Women in Sport and keeps me updated on all things relevant across all codes related to women in sport – a hit for me. And then of course, we’ve just launched the @sasma2017 handle so follow us to get updates on the Congress! 5. CJSM: In your sports medicine career, you have been deeply involved with South African rugby. Give us your forecast of what the Springboks (15s) and Blitzboks (7s) will look like over these years leading up to the Rugby World Cup (2019) and Olympics (2020)? PZ: Blitzboks – we’ve only seen the tip of the iceberg. The team has a special combination of humility and conviction – and they’re still building. I am excited about 7s continues to contribute to player development and transformation in South Africa while continuing to excel on the World Stage. My hope is that our 15s team will resume its rightful place amongst the top 3 teams in world ranking. We’ve already started to see a glimpse of what is possible in the 2017 Rugby Championship series. Thank you Phatho for taking the time to share your thoughts with our readers!!! If you can’t be on the ground in lovely Cape Town 24 – 27 October 2017, then follow the proceedings on Twitter @sasma2017 and #SASMA2017. At CJSM, we are definitely looking forward to it!!! !